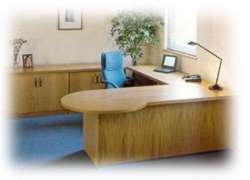 We work closely with nearly 150 manufacturers who can supply desks to suit different budgets and requirements. Call Centre desking Telesales, Response Line, Help Desks & Hot Desks. 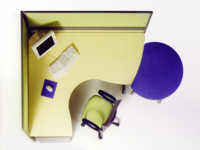 Wave desks for more efficient use of floor space, add on meeting facilities. 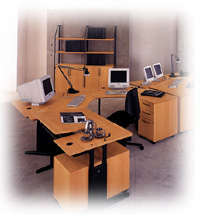 Core workstations a wide variety of sizes and shapes; veneer, laminate or MFC finishes. Managerial workstations traditional or contemporary styles; with add on meeting facilities or stand alone tables and matching storage. Specialist computer desks with height adjustable tops and wire management.